Film animation, painting, bebop jazz, the ethnology of the Coast Salish peoples, folk music research, cosmological speculation, Kabbalah, Buddhism, Allen Ginsberg, underground film, Bertolt Brecht - it is difficult to name a common denominator that takes in all of Harry Smith’s many very different interests and activities. The only thing they have in common is the role they play in Smith’s artistic work, which can be understood equally as an aesthetic creative process, as academic research and as a spiritual search. Henning Engelke and Rani Singh discuss this connection with a view to aesthetic research and the relationships to the diverse artistic fields in which Smith was active. Henning Engelke teaches Art History at the Goethe-University, Frankfurt am Main. His research topics are ethnographic documentary, experimental film and the intersections of discourses in art, media and other sciences. 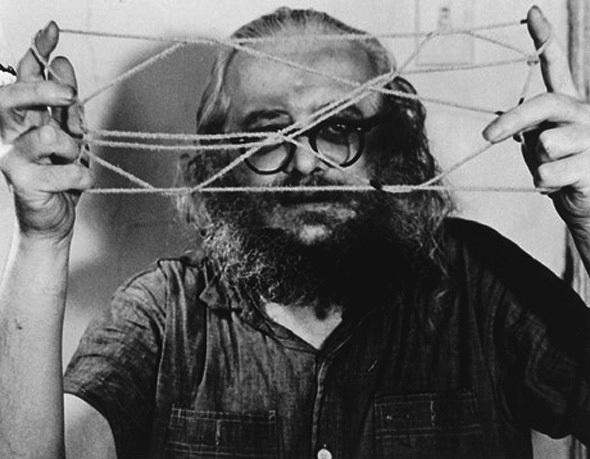 Rani Singh was the Personal Assistant of Allen Ginsberg and Harry Smith. Today, she is Director of the Harry Smith Archives and Senior Research Associate at the Getty Research Institute, Los Angeles.